Sarah Fowler is one of the Save Our Seas Foundation’s scientific advisers and also a founding member of the IUCN’s Shark Specialist Group, the Shark Trust and the European Elasmobranch Association. She has been a part of the evolution of shark conservation for almost 30 years. Guitarfish, rays and other by-catch are tossed from a shrimp boat. 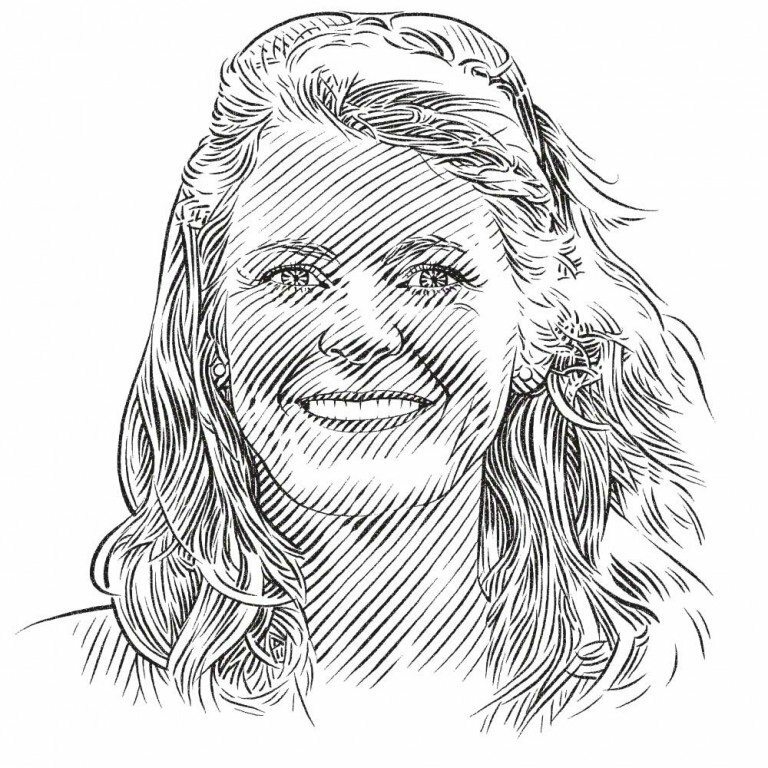 Sarah Fowler is one of the Save Our Seas Foundation’s scientific advisers and also a founding member of the IUCN’s Shark Specialist Group, the Shark Trust and the European Elasmobranch Association. She has been a part of the evolution of shark conservation for almost 30 years. Philippa Ehrlich spoke to her about where it all started, how far it’s come and what she looks for when choosing new projects to fund. How did you become interested in sharks? When I was a small child I spent summers on the Isle of Wight, off England’s southern coast. My father and I used to set a little net overnight and occasionally we would catch tope sharks, sometimes quite big ones, which would just end up inside a big sausage of net. So I spent a lot of time trying to untangle them on the beach – those were my first sharks. I also remember, when I was probably about 11 or 12, seeing a basking shark for the first time, just swimming around in a little harbour in Cornwall early one morning. It was mind-blowing! So I have always been interested in marine biology. And how did you get involved with the Shark Specialist Group? I had a conversation with a colleague of mine in Nature Bureau, which was the consultancy where I used to work. We were talking about the problems of the lack of management for sharks and the fact that there were extraordinary unregulated fisheries all over the world. This was in about 1990 or 1991, when the growing demand for shark fins had become an issue. Nothing was being done about it, you know; we couldn’t get anyone to take any notice. Anyway, I went back to my desk and about half an hour later my colleague, Paul Goriup, showed me a fax that he had just sent to the IUCN saying, ‘You clearly need a Shark Specialist Group and there is someone here who will help you set one up.’ (I had been working a bit with the IUCN already.) Then my phone rang and it was Simon Stuart, who was then running the Species Programme for the IUCN in Switzerland. He said, ‘Well, you know I just got this fax and in fact we are setting up a Shark Specialist Group. We’ve already got the chair, Dr Sonny Gruber, but you’re going to be the deputy chair.’ And that was it. What did shark conservation look like back then? At that time, shark conservation didn’t exist. Sharks and rays were very much fisheries species and the whole concept of having protected shark species and treating them as wildlife biodiversity was just not seen to be necessary or important – or, indeed, desirable. So in the early days we spent a lot of time trying to improve the synergy between marine conservation, wildlife management and fisheries management because they were separated by a huge gulf. When it came to the relationship between the Food and Agricultural Organization (FAO) and the Convention on International Trade in Endangered Species (CITES), there was quite a bit of conflict because many fisheries managers just did not believe that wildlife conservation was relevant to sharks. Sharks, they said, were fish and should therefore come under fisheries management rules, although in reality sharks were not important enough to receive much attention from fisheries managers. That is understandable because sharks and rays made up about one per cent of world fisheries landings, so they were simply not sufficiently important in terms of cash volume, food security or hard cash for developing countries. Sharks and rays were sort of falling between the two stools of fisheries management and wildlife conservation, and what we have done since the 1990s is bridge that gap. There is now far greater interest and enthusiasm for working together for these animals, which have a ‘fin in both camps’, as it were. How did marine biologists see shark conservation at the time? Ah … that was interesting because many researchers in the 1980s were not really thinking about conservation. In fact, conservation was seen as a bit of an embarrassment. It was not research. It was not scientific. And that has changed completely over the intervening decades because in order to achieve conservation management, research is important; you have to know a lot about the biology of the species. Back in the early days, when many fisheries departments were saying ‘Come on! Sharks are just fish and they are managed like all the other fish’, there was very little awareness of the fact that sharks are actually more like mammals in their biology. You can’t manage them in the same way that you would manage tuna or plaice or cod because their biology imposes completely different constraints. I think many researchers, such as Sonny Gruber, really got into conservation when they realised that their study animals were disappearing or were not as abundant as they used to be. Slowly, conservation as a profession became seen as valuable, important and respectable. There were all sorts of reasons for that. One is the proliferation of NGOs of all different shades of green. On one side you’ve got, say, the IUCN, which has governments as members and is very science-based, with a lot of emphasis on sustainable use for commercially important species. But then we also have dark green organisations that are almost militant in their defence of wildlife. They feel that no animal should be killed. So there’s a whole spectrum there, and what the dark green organisations have done is shift the balance of debate more to the centre. Do you feel there is a place for those more militant conservationists? I believe so, yes. While I do not agree with some of the policies of those organisations, they definitely play an important role, particularly in raising awareness and getting members of the public engaged in causes. Shark conservation has come a long way since the 1990s, but where are the gaps today? There are still huge gaps in the capacity of many countries to monitor sharks and to manage fisheries. We have more than 80 countries sending shark fins to Singapore, Hong Kong and China, but only a very small proportion of those countries can actually manage their fisheries well. The crisis is not so much out on the high seas. The big challenges now are really in the biodiversity-rich fisheries in coastal waters, where sharks are primarily taken as part of multi-species fisheries, which are much, much harder to manage. When looking at funding proposals, how do you choose a project for the SOSF to support? Once a project is complete, how do you measure its success? Well, there are two ways to answer that. One is, did it do what it said it was going to do? Has it met its objectives? But I also like to see something else happening beyond that. In the case of the devil ray project in Gaza, for example, it did its work on devil rays and achieved its goal. However, it also created an advocate for sharks and rays, someone who now lives and breathes sharks and rays and is getting lots and lots of students interested in them too. That would never have happened had it not been for that small project that was looking into devil rays. We can’t always tell if we’re going to ignite something in a person, but when we do, it’s brilliant! Is there still an important role for biological science in marine conservation? Of course! You can’t save things if you don’t know what they are, where they live, how they breed, what their life history constraints are. You have to have that basic information. If it doesn’t have a name, you can’t save it.